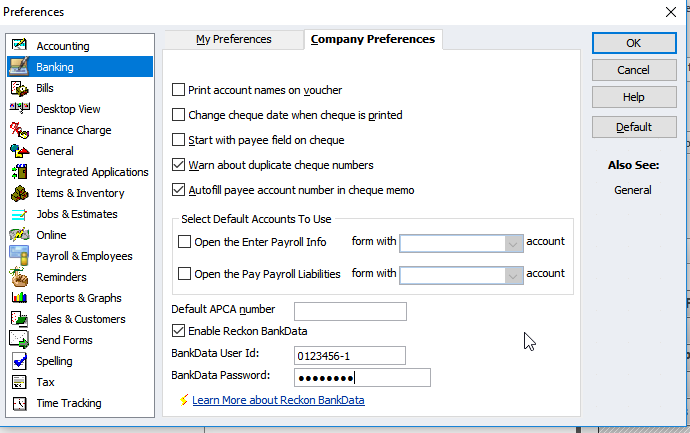 How do setup a Bankdata feed and update my company file with my latest bank transactions? 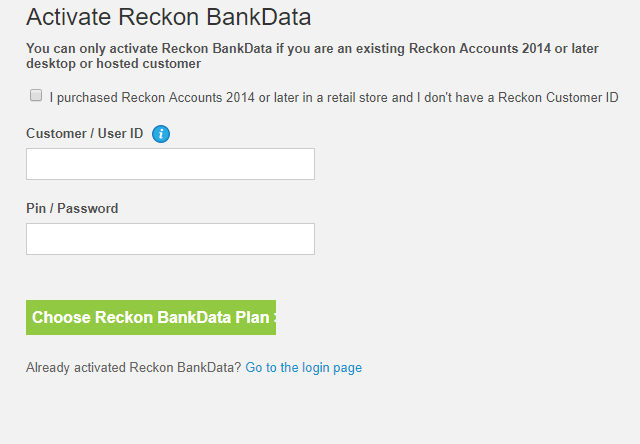 Reckon Accounts Hosted and Desktop. 5. Process downloaded Bankdata transactions. e. Transactions can only be downloaded once; and a bank feed can only be linked to one bank ledger account in whatever company file. h. Complete the purchase on the online shop. i. You will receive an email with your UserID, username and password. Hosted users will use their Hosted credentials as all Reckon Online products use the same credentials. 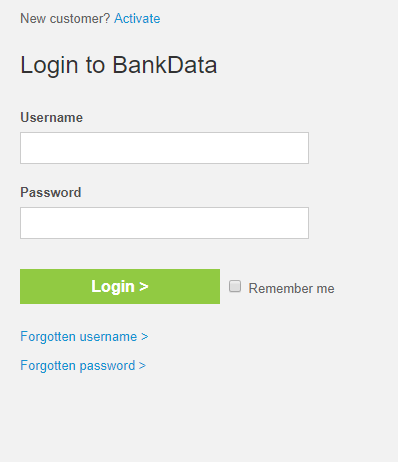 a. Login to Bankdata.reckon.com to open the Bank Feed Management screen. b. Click on Add Feed and enter basic bank/credit card information from the dropdown options. a. Enter your bank account details and follow the directions to print out a bank authority form. c. Allow 8 business days to process your application. You�ll get an email from us once we havereceived the first transaction for your account. d. Please note that Yodlee will access all bank accounts or all credit card accounts available on this login. 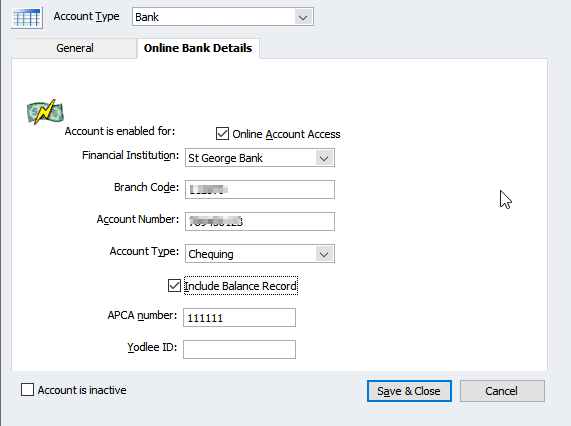 You only need one Yodlee connection per bank, although you will need separate Yodlee connections for bank accounts and credit card accounts. e. Once confirmed you will be able to download and work with your bank transactions immediately. f. You will also receive an email confirming this entry and the YodleeID that pertains to this entry which you will use in configuring your company file. 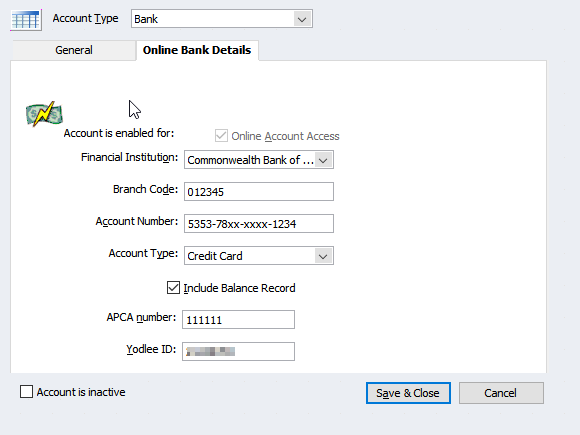 Please refer for the KB5470: Unique displays for some Bank Account and Credit Card numbers accessed by Yodlee Feeds for exceptions to these rules due to bank preferences for number displays and masking for privacy. vi. You will see the downloaded file in the from Bank section. c. Highlight the file in the from Bank section and click on View to open the Downloaded Transactions section from where you can add the transactions to your ledger accounts.